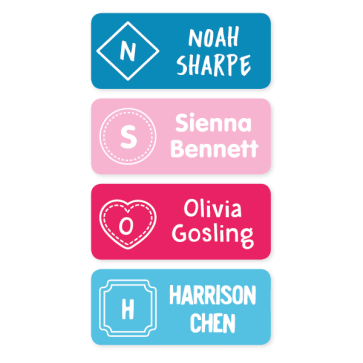 Monogram Labels are a sophisticated yet fun label option for older children or adults. Before applying name labels, please ensure the surface is clean and dry. Adhere your name labels to a smooth surface. Rub firmly across the label to ensure there are no air bubbles. Once applied do not wash the item for at least 48 hours to allow the label time to bond.